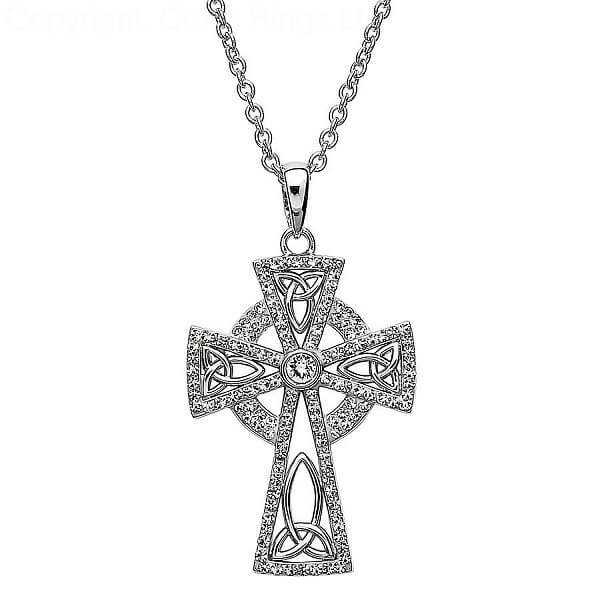 A breathtaking representation of the Celtic cross. This stunning piece is brought to life with a host of sparkling white Swarovski® crystals. 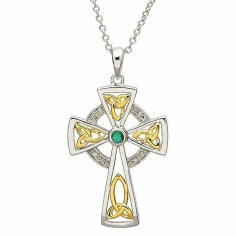 The Trinity knot design is incorporated into each arm of the cross. 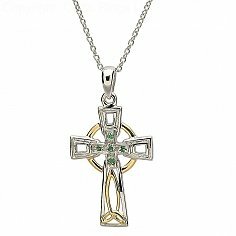 Tested and hallmarked by the Dublin Assays Office, proof of the quality and authenticity of your cross. Each item is handcrafted in Ireland and available for worldwide shipping.